An RSS feed (or news feed) is a means by which you can stay informed about what's going on at Soul Song Choirs without having to regularly visit the website. 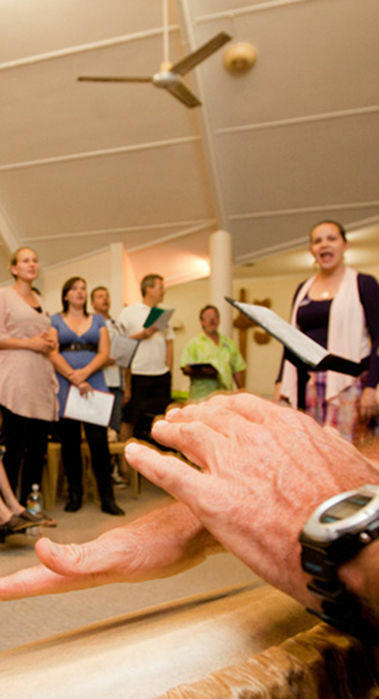 Soul Song Choirs are non-religious, funky pop choirs for people from all backgrounds and with all levels of musical experience to come together in Cairns and Brisbane because they love to sing. Our members are teachers, electricians, nurses, lawyers, business owners, students and retail workers. Some have a heap of musical experience when they come to us and some have none. With around 100 regular members, the chances are that when you'll come, you'll find someone else just like you. Anyone over the age of 13 is welcome so it's a great activity for all generations of the family. We've had grandparents and grandsons come along together, mums and daughters and even three generations of one family! Everything about Soul Song is designed to make life easy for you. We know you're busy so there are no committees and no expectation for you to come to every single rehearsal - you just come when you feel like singing. What's even better is that there are no auditions and you don't even have to be able to read music. We teach all the songs by ear in a fun and relaxed atmosphere and we provide you with all the lyrics you need as well as some additional resources for those who want to practice on their own during the week. The songs we sing are generally pop songs from all eras but with some traditional gospel, motown and soul thrown in. We sing generally in three or four part harmony and with either professional backing tracks or a cappella (which means without instruments). 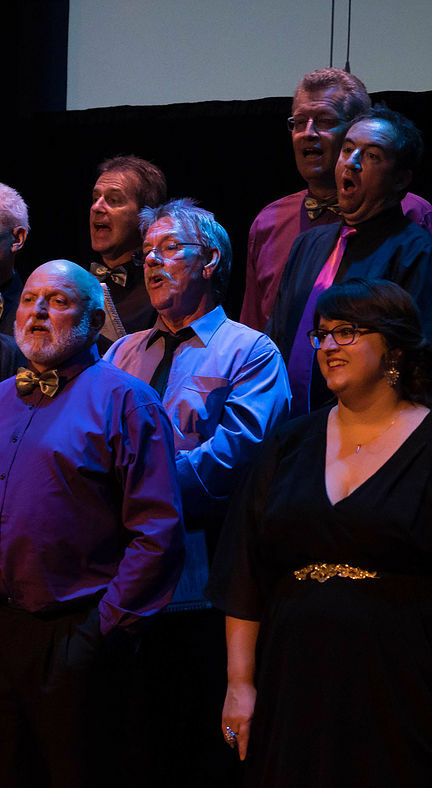 For those who like the spotlight, there are opportunities for solos as well as the opportunity to join one of our smaller, auditioned groups who sing purely contemporary a cappella. Both choirs rehearse pretty much every week, although we do take the odd week off during school holidays so please check the calendar to make sure there's a rehearsal on before you come along. Check out the relevant choir's profile page for the right rehearsal info. Rehearsals are obviously primarily about working on repertoire and building vocal technique but we try to mix up rehearsals each week to keep them interesting and we also work a lot in smaller sections to help songs progress faster. Those who come the most often get the most out of Soul Song but there is no expectation for people to come every single week and we have lots of resources available for those who miss a week or a few to help them catch up if they want to. You'll find out more about these when you join. Soul Song Choirs was founded and is run by Jacqueline Larsen, an experienced singer, musician, performer and director. She has been directing choirs of difference sizes and styles for over 20 years. Jaq (or Jacqueline, but never Jacqui, thanks!) is passionate about just getting people singng because she knows how much fun it is and how good it is for body, mind and soul. Jaq moved from Cairns to Brisbane in 2017 but can't quite leave her Cairns Soulsters behind so still regularly returns to run rehearsals, retreats and special events. 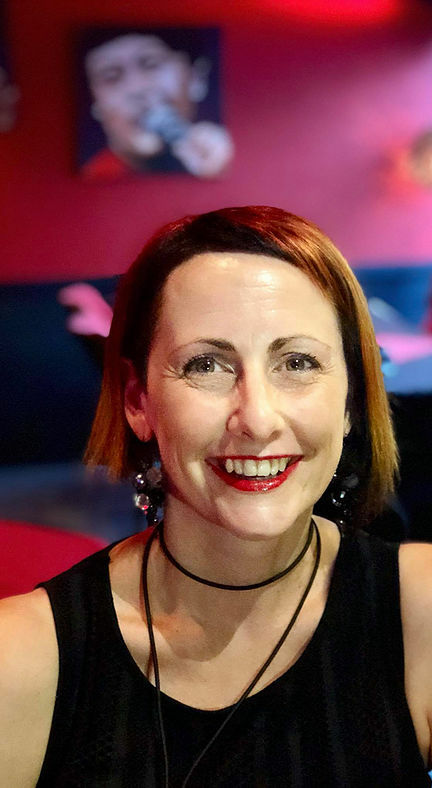 She decided to spread the Soul Song love by setting up a Christmas Pop-Up Choir in December 2018 (West End Social Singers) and then Soul Song Brisbane in January 2019. Next stop, the world! Jacqueline is a natural presenter and regularly delivers workshops on singing and creative thinking as she works to inspire others to find their voice. She has also run numerous 'pub choir' style pop up singing events at festivals and conferences. We'd be nothing without our supporters! If you don't want to sing but want to be part of the Soul Song Tribe and get occasional emails when we have a performance, workshop or special event, sign up here. Soul Song Choirs is committed to protecting your personal data and will use any personal or sensitive data we collect from you. In Europe, this is in line with the General Data Protection Regulations (GDPR). Soul Song Choirs collects data from individuals to help us plan, organise and run the day-to-day operations of the group (e.g. co-ordinating rehearsals or collecting subscription payments) and to promote and market the group’s activities (e.g. marketing mailing lists and photography/video capture). This data will be used by our admin team to manage your membership with Soul Song Choirs and to organise and run our activities. When you sign-up to our marketing mailing list we will ask for your email address and will use this data to send you information about our events and activities (e.g. upcoming events, latest news, etc). We will only send you information that is related to Soul Song Choirs. (i.e. we will not use your data to send you marketing messages from 3rd parties). If you purchase an event ticket, or Soul Song Choirs merchandise, or make a donation, we need to collect data on the person making the purchase. This data will only be used for administering your booking/purchase/donation, and will not be used to send you marketing/promotional messages from the group. The Soul Song Choirs data retention policy is to review all data held on individuals at least every two years and remove data where we no longer have a legitimate reason to keep it.